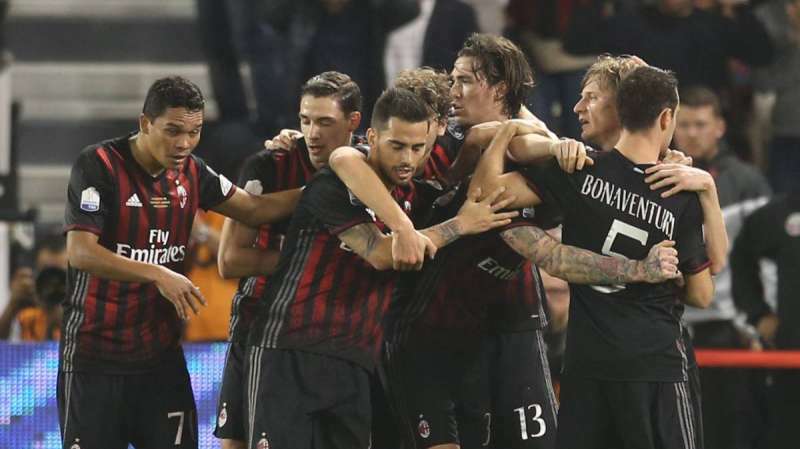 AC Milan ended a trophy drought that lasted for over half a decade as they ousted Italian champions Juventus 4-3 on penalties to lift the 2016 Italian Supercup in Doha. Centre-back Giorgio Chiellini headed the defending champions in front before Giacomo Bonaventura restored parity for Milan a few minutes later. The latter were the brighter side of the two thereafter, creating the better amount of chances and pushing their mighty rivals to the edge. The sides weren’t to be separated in normal time and extra-time followed, but to no avail. In the ensuing shoot-out, Gianluca Lapadula missed for Milan giving Juve an early advantage, but Mario Mandzukic and Paulo Dybala fluffed their lines, allowing Mario Pasalic to seal the game from the final kick. Here are some of the major talking points to ponder over. AC Milan and their dramatic fall from grace is well documented. From title favourites to mere also-rans, the Rossoneri had plunged into the abyss of such mediocrity that was hardly believable. An exodus of stellar names coupled with some really poor management contributed to their colossal decline, but after a few years in the rut, there are green shoots of recovery. Not only has their season got off to a positive note, but they have also managed to add a trophy to their cabinet after a gap of 5 years, thereby making an ominous statement of intent. Milan’s dominance in the game was reminiscent of their glory days of the past and fought valiantly despite the underdog status. Whilst some cutting-edge in the final third could’ve otherwise saved them the excruciating extra-time labours, Milan nonetheless, were admirable over the course of the game. Watch out for these men, for they are a force on the rise again.